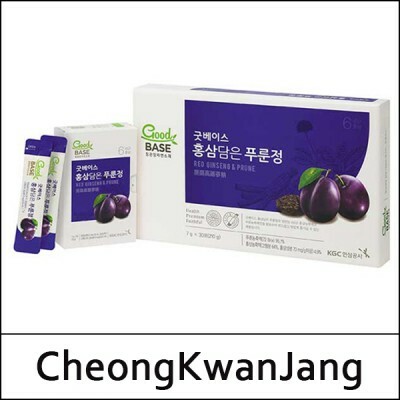 A delicious health drink that combines the benefits of Korean Red Ginseng with Prune extract. Prunes are high in Vitamins A, manganese, iron and plant phenolics, Potassium and Polyphenols. The antioxidants can help combat free radicals and reduce inflammation. Intake 1-2 pouch per day, one pouch at a time.